- Highest biological value form of Protein known to science. 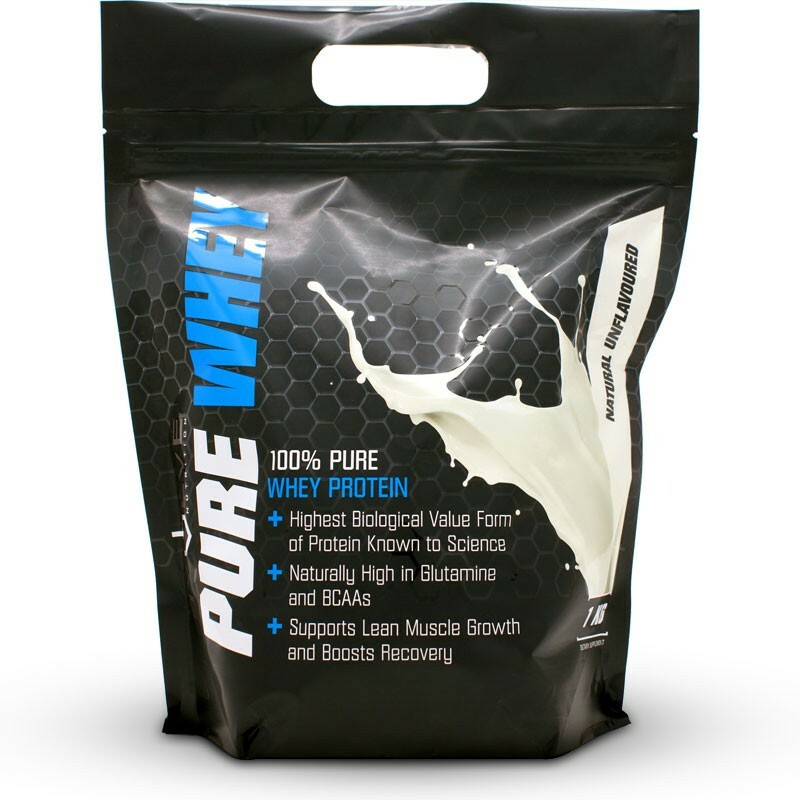 - Naturally high in Glutamine and BCAAs. 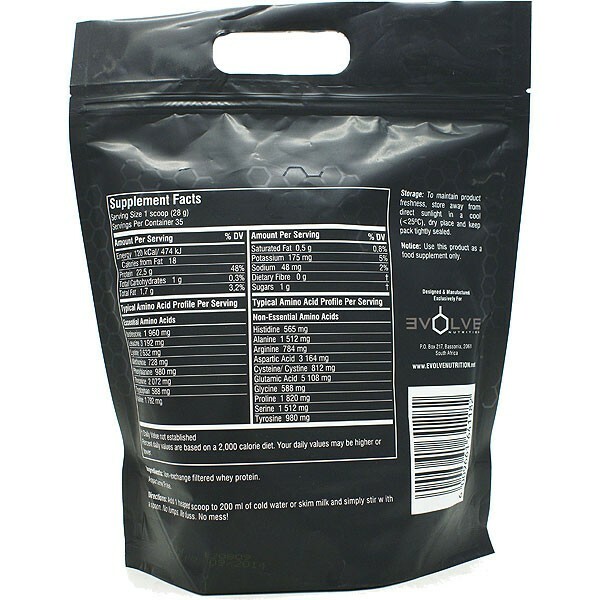 - Supports lean muscle growth and boosts recovery. Percent daily values are based on a 2,000 calorie diet. Your daily values may be highter or lower. • Add 1 heaped scoop to 200 ml of cold water or skim milk and simply stir with a spoon. These nice tasting wheys have too many hidden sugars, this might not taste the best but it has everything that muscles need for growth, thumbs up. I knew from the off that it was unflavoured and I've had unflavoured Whey protein before, from Supplements SA. In the end, I didn't enjoy the texture and taste of this particular brand honestly. It was on sale, so I bought. @luke This is unflavoured whey, so expect no taste. The price is cheaper then other brands. I use coffee to flavour it and love it. Great product at an affordable price. Mixes well. Despite the bad taste, I must add that the amino-acid breakdown is rather impressive. Far better than Evox 100% whey. Compare them yourself. Just finished a bag of this stuff and so far its the worst whey protein I've ever used (well except for USN stuff). Tastes bad (especially with water) even though its unflavoured. Its also not as effective as evox protein, considering the fact that is about R40 cheaper, I would rather go for Evox 100% whey.